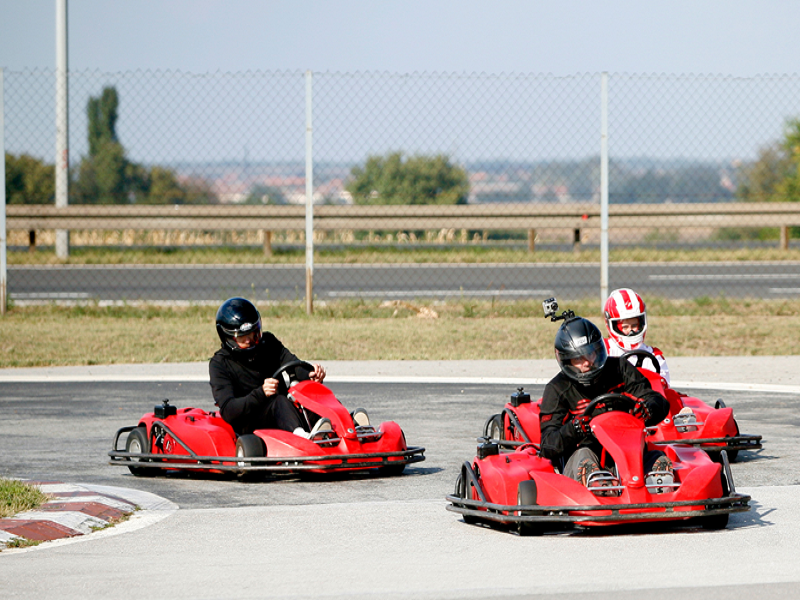 xperience the ride in a new and dynamic way! 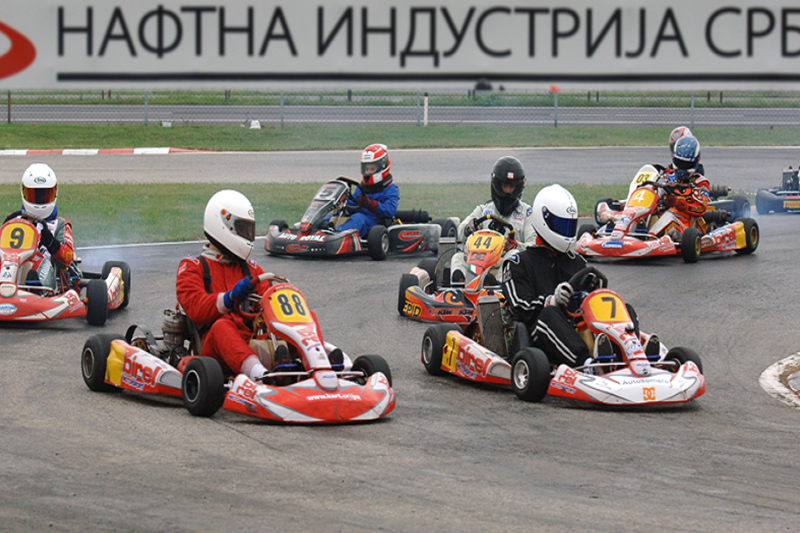 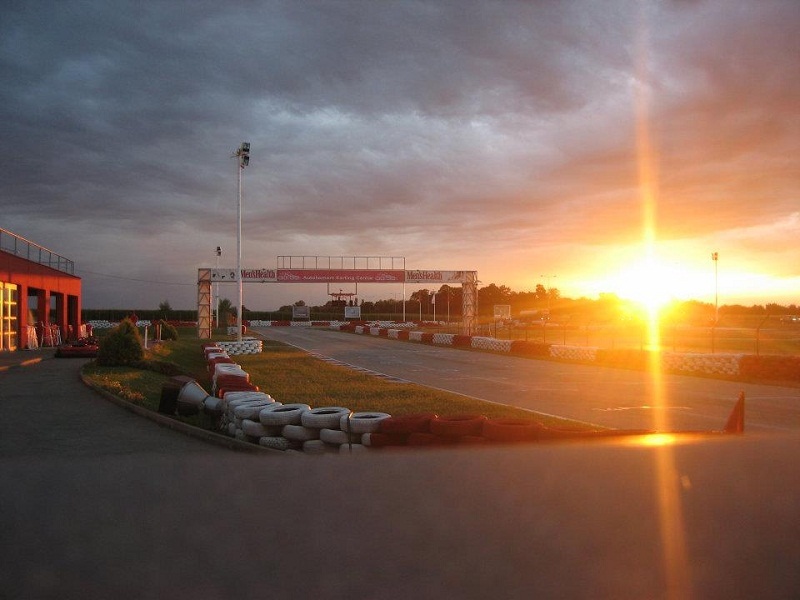 Get involved in karting revolution – the only professional karting track in the country! 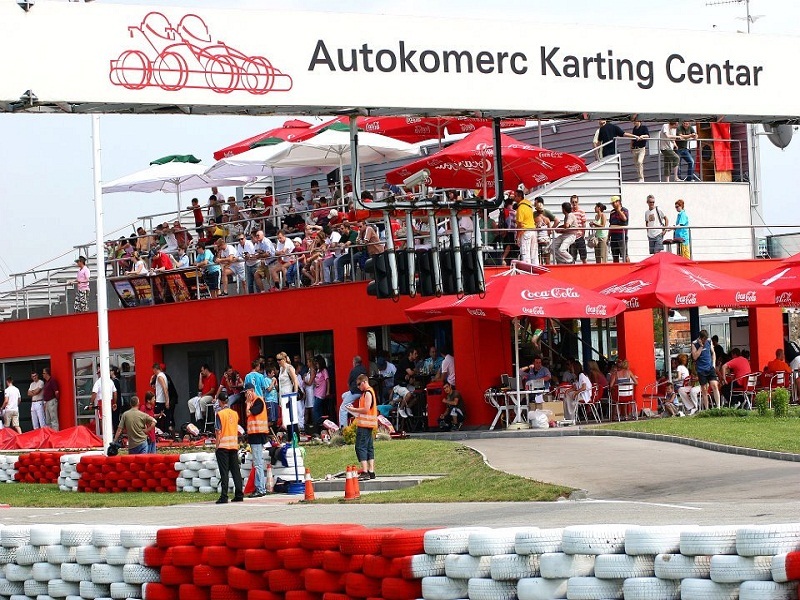 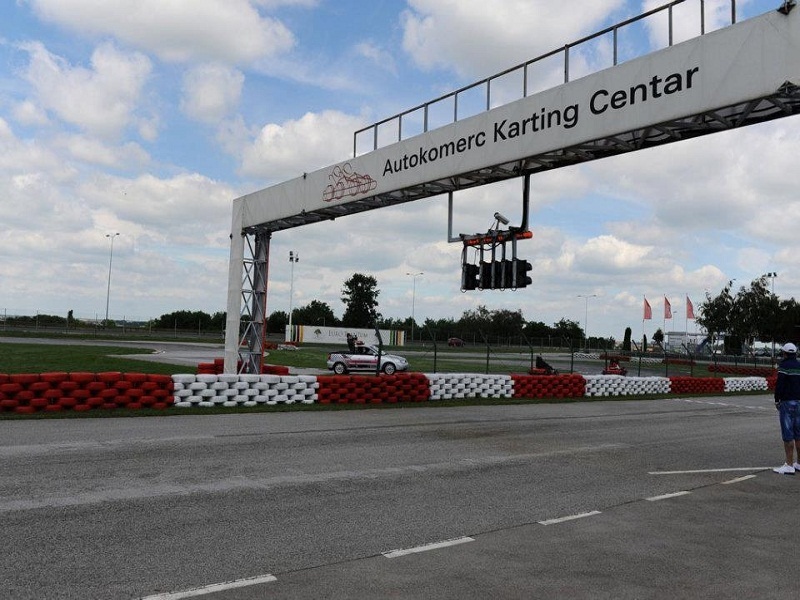 License FIA C International Karting Committee (CIK) that we have, means that the track is built to meet the most stringent requirements for the maintenance of international competitions. 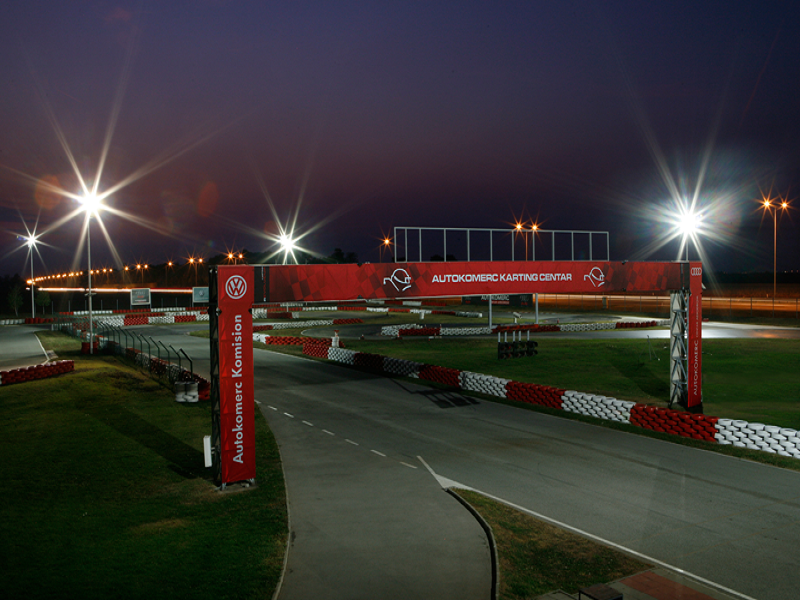 Also, in terms of security, our go-cart track meets international standards of karting. 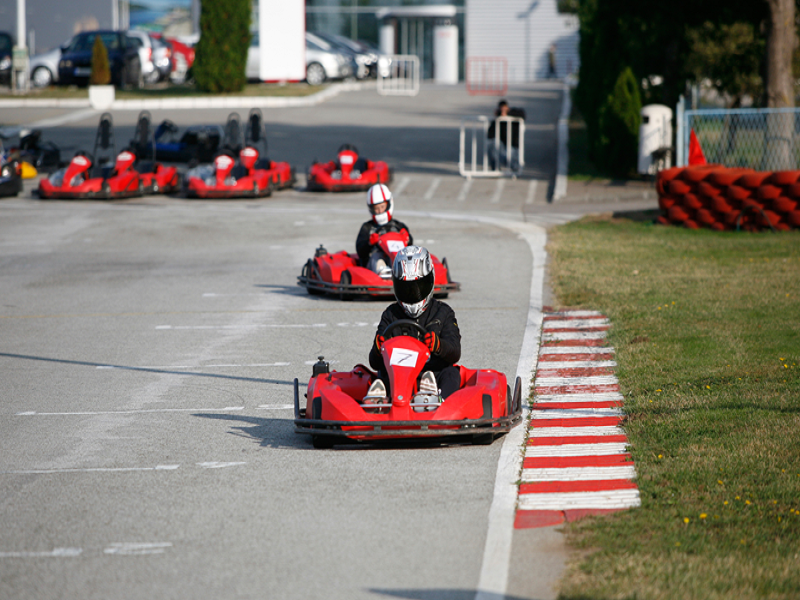 Our renting offer entails several types of kart verhicles, from children’s to sports’ vehicles. 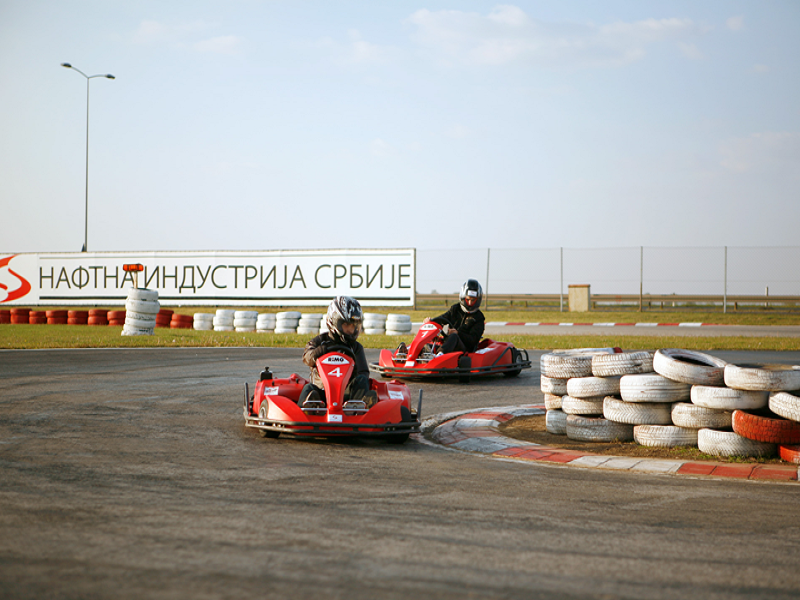 In addition to a professional track, there is a special BABY-carting track for children. 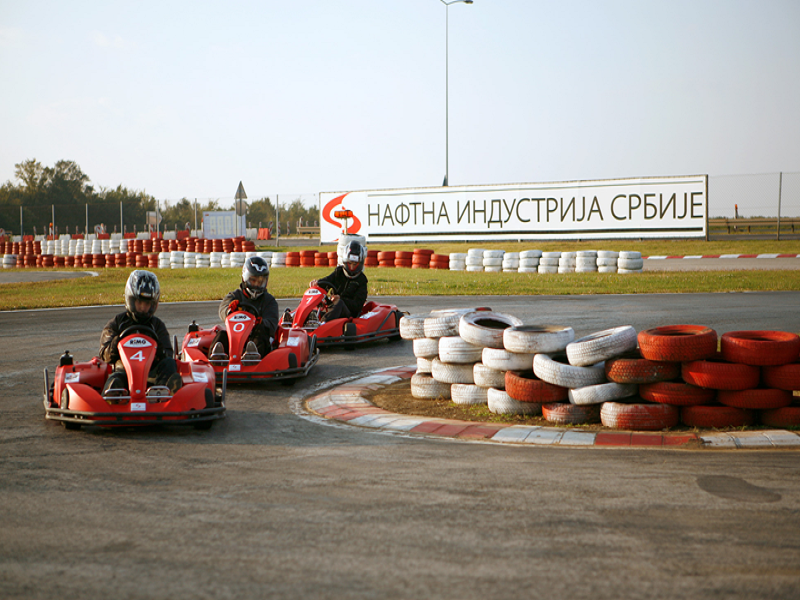 Children from 5 to 8 years of age are acquiring their first driving experience on special carting designed for small drivers. 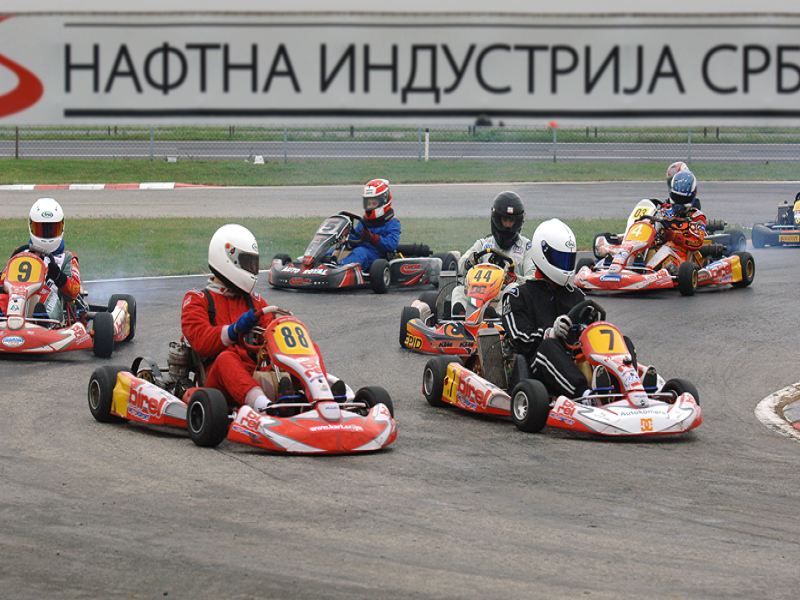 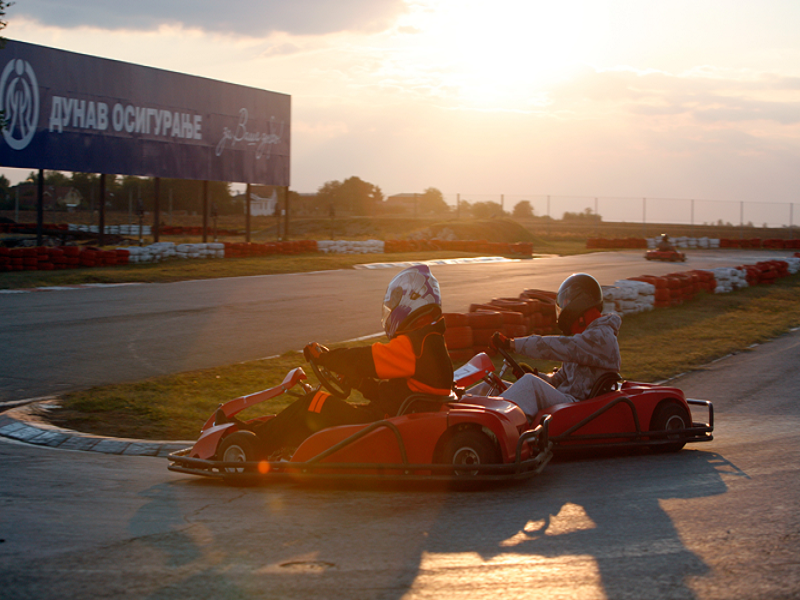 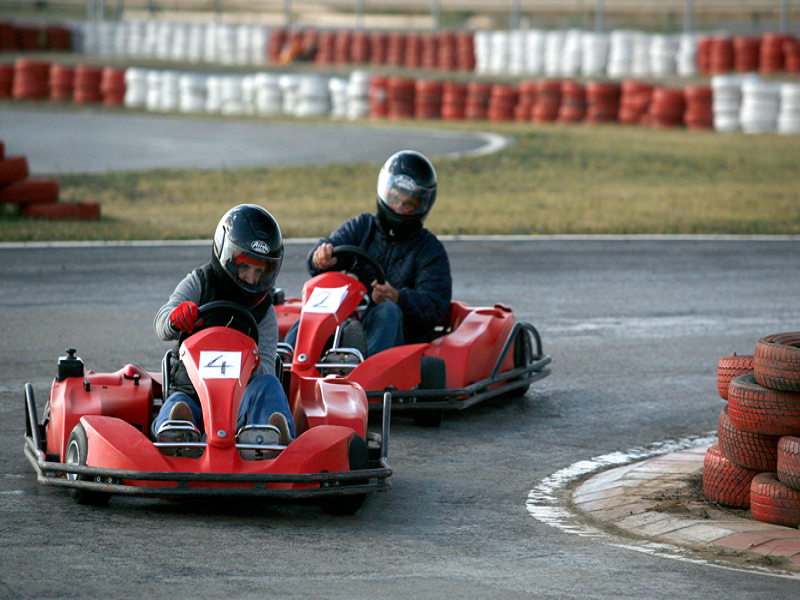 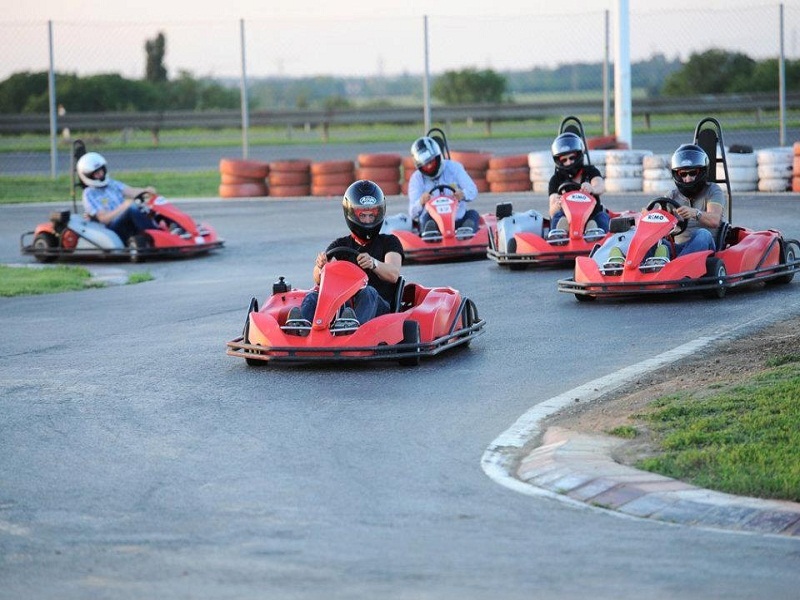 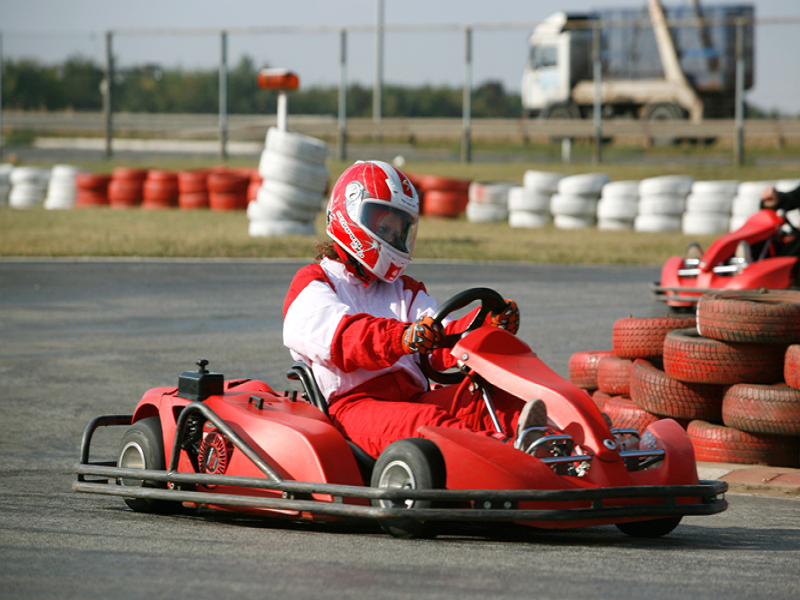 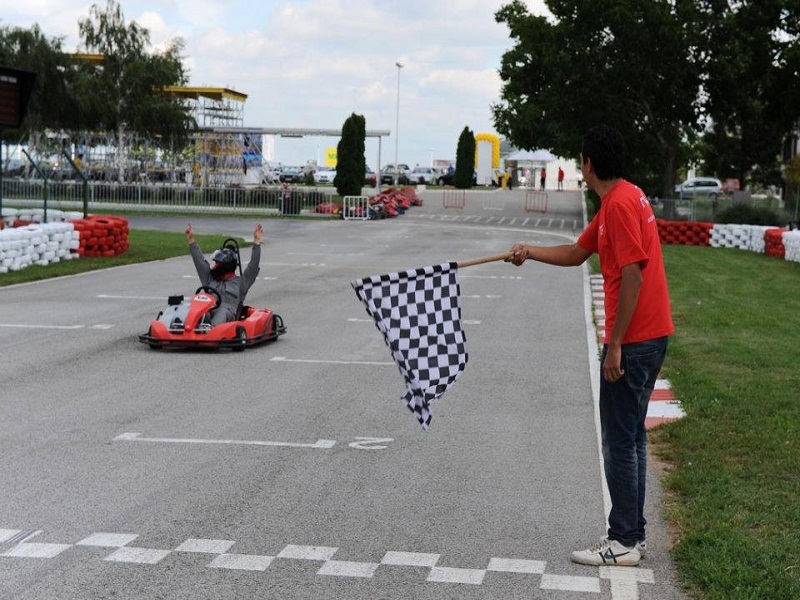 Alone, with friends, family or colleagues from work – karting is great fun for all! 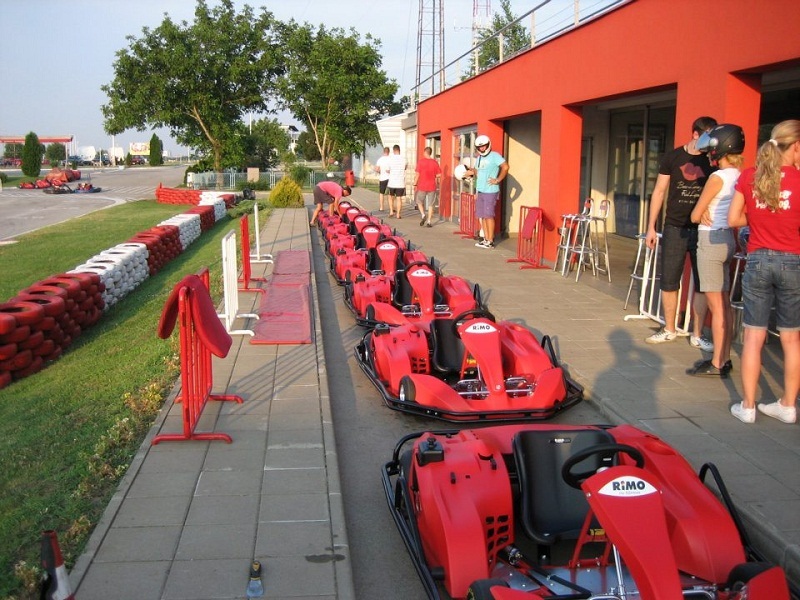 15 € – 10 min.